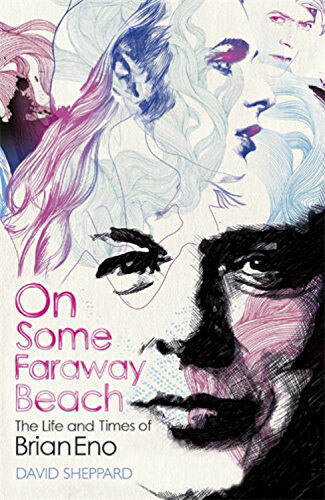 On Some Faraway Beach: The Life and Times of Brian Eno is published on Thursday 12th February by Orion. The authorised biography of Brian Eno - the 'Father of Ambient Music' - a sonic alchemist to the stars, Brian Eno's address book is a veritable who's who of rock and pop. 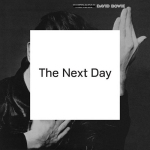 Tellingly, his involvement with Roxy Music, DAVID BOWIE, Talking Heads and U2 has coincided with these artists producing their most challenging and critically revered work. On Some Faraway Beach is the first serious, critical examination of the life and times of Brian Eno, from an idiosyncratic childhood to 1960s art school and the sharp end of pop charts around the world. The 450-page biography (written with the help of the famous piss-taster himself) fairly zips along. - (Observer Music Monthly). This exeptionally well-written biography duly celebrated [Eno's] great achievements with Roxy, Bowie, Talking Heads and his own solo work in compelling detail. - (Uncut). [An] honourable, authorised attempt to do justice to a mind-bogglingly restless and prolific subject. - (Sunday Times). David Sheppard's authorised biography dispels some of the myths surrounding Brian Eno and provides a compelling case for his importance as artist and thinker. - (Waterstones Books Quarterly). An accomplished and sprawling biography reflects Eno's scattershot approach to life - all over the place but fascinating just the same. - (Big Issue - Scotland). Music Book of the Fortnight 'Few enigmas are as hard to unravel as Brian Peter George St John le Baptiste de la Salle Eno, but the Q contributor has done a bang-up job with this 450-page tome'. - (Hot Press - Ireland). David Sheppard's meticulously researched biography...[with] the kind of footnote that make this doorstopper such an engaging read. - (The Independent). On Some Faraway Beach provides an extensive introduction to a lifetime of constructive, and very English, pottering. - (Sunday Telegraph). Sheppard has corralled the many strands of Eno's hectic creative life into a coherent and highly readable account. On Some Faraway Beach will take some beating as a chronicle of one of popular music's few truly original practitioners. - (Total Music Magazine). A vivid, well-observed and absorbing biography replete with relevant context and cultural references. - (The Beat). How do you pin down enigma like Brian Eno? Music journalist David Sheppard makes a valiant stab at it in this lively biography. 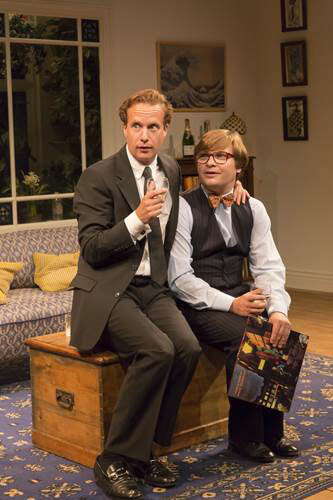 - (Yorkshire Evening Post). David Sheppard is a well-respected music journalist. He's written for numerous publications, including Mojo, Q, Uncut and The Observer. He's the author of two previous biographies of Leonard Cohen and Elvis Costello. You can pre-order On Some Faraway Beach: The Life and Times of Brian Eno NOW. 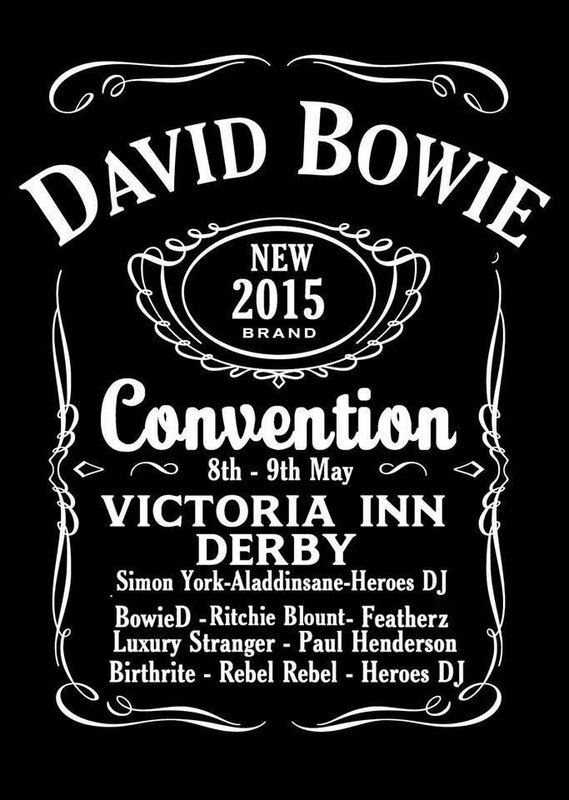 Tickets are on sale now for the DAVID BOWIE 2015 UK Convention in Derby. Featuring a selection of brilliant live music, from tribute bands to Steampunk and many other genres doing Bowie their way... and a warm gathering of David Bowie fans and music fans, Ziggy Kids, Dukes and Dudes... so much love in the room, it makes life wonderful. Friday 8th May - The Fringe Gig - 6pm 'til Midnight. Simon York (Acoustic Set) / Aladdinsane (Bowie Tribute Band) / Baz Dedhevan (Heroes Indie DJ set). Saturday 9th May - David Bowie Convention - 12 'til Midnight. BowieD / Ritchie Blount / The Featherz / Luxury Stranger / Paul Henderson / Birthrite / Rebel Rebel / Baz Dedhevan Heroes Indie DJ set. 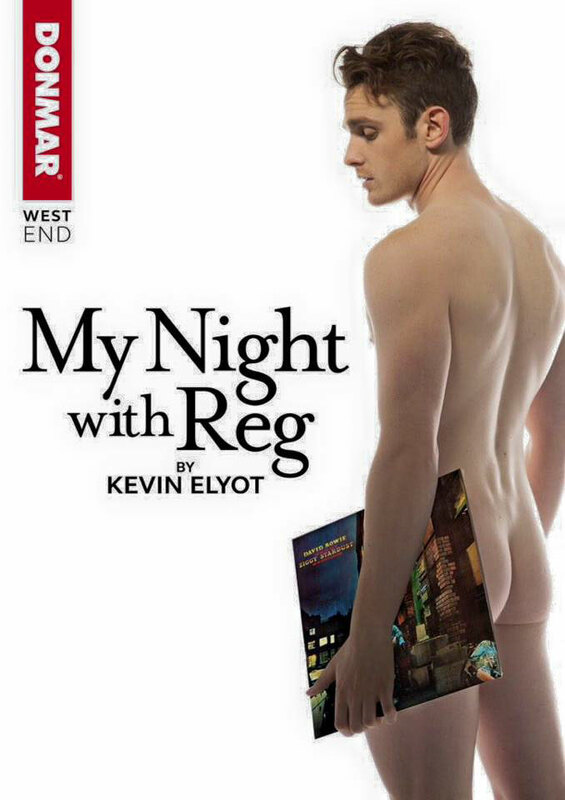 Tickets: £8 for the fringe gig (Fri 8th May 6pm-midnight), £25 for the Main Day (Sat 9th May midday til midnight), or £30 for both events. Check out the Facebook events page for more details and information. "DO YOU KNOW WHO PROFESSOR LONGHAIR IS?" E Street Band keyboardist ROY BITTAN shares stories with ROLLING STONE magazine from his sessions with DAVID BOWIE and other artists. "I was staying at the Sunset Marquis in Los Angeles when we were on the Born to Run tour in 1975. David's guitar player, Earl Slick, was a friend of mine. I bumped into him at the hotel and he said, 'I can't believe you're here. We were just talking about you.' David knew we were coming to town and he wanted a keyboard player. "When I arrived the next day at the studio David said to me, 'Do you know who Professor Longhair is?' I said, 'Know him? I saw him play at a little roadhouse in Houston about three weeks ago!' I wound up doing an imitation of Professor Longhair interpreting a David Bowie song. We began with 'TVC 15' and I wound up playing on every song besides 'Wild Is The Wind.' It must have only been about three days. It's one of my favourite projects I've ever worked on." Just in case you were never aware... Professor Longhair's 'Hey Now Baby' was part inspiration for David's 'TVC 15'. - [Listen here]. On this day, 38 years ago, DAVID BOWIE released his Low album. Incorrectly known as the first of the "Berlin Trilogy" it was recorded in France at Chateau d'Herouville studios, located in the Val d'Oise département near Paris. 'New Music: Night And Day' was the original title and initial RCA Canadian cassette tapes made it onto the market with that title printed on the tape before quickly being pulled. On this day, 41 years ago, DAVID BOWIE was photographed by Kate Simon at Olympic Studios, 117 Church Road, Barnes, West London SW13 9HL in 1974. On this particular day, he records 'Rock & With Me', 'Candidate' and 'Big Brother'. On this day, 49 years ago, 'Can't Help Thinking About Me' was the first solo release from DAVID BOWIE after changing his stage name. Released on the Pye label (Pye 7N 17020) it was backed by 'And I Say To Myself', both tracks produced by Tony Hatch. On this day, 50 years ago, DAVID JONES & The Manish Boys audition for Rocky River Promotions at the London Palladium for possible bookings at the Star-Club in Hamburg. Unfortunately, they don't receive an offer to perform there. A donation will be made to Pancreatic Cancer Research on behalf of the sales. All items are used, however everything is in amazing condition for its age. Fender Bassman 50 Silverface 1970s Vintage Bass Guitar Amplifier. Picato Acoustic Guitar Strings Phosphor Bronze 6 Strings Set. Carlsbro CS60PA 1970s Vintage Valve Guitar Amplifier plus Speakers. Zoot Cabinet Bass Guitar Light Weight 8x10quot; Speakers Celestion. Zoot Cabinet Bass Guitar Light Weight Speakers Celestion 600W. You can VIEW HERE to check out what is available. (Original story from a few years back): Moby sobered up in the mid-2000s after his partying spiralled out of control following a devastating heartbreak, and he has now confessed losing a precious gift from the Ziggy Stardust icon helped convince him to change his ways. Moby reveals Bowie gave him the fedora hat he wore in 1976 film The Man Who Fell To Earth, and the dance star was devastated when it went missing from his New York apartment. He told The Guardian newspaper, "About 10 years ago, I was over at his (Bowie's) house and he gave me a present, the greatest present anyone has ever given me: the fedora that he wore in The Man Who Fell To Earth. And on the inside of the brim it said: 'To Moby, Love David.' I felt like I'd been given the holy grail, because Bowie is my favourite artist of all time. "A few weeks later, I'd been in this terrible bar and it closed and I invited three people back to my apartment. Anyway, people were smoking crack in the bathroom, and at six in the morning I took out this hat and I was showing it off, and in the morning it was gone... I remember thinking: 'Boy, I need to stop drinking'." Elvis Presley (singer/actor), Ron Moody (actor), Larry Storch (actor/comedian), Soupy Sales (aka Milton Hinkes) (comedian and father of Tony and Hunt Sales of Tin Machine), Graham Chapman (comedian), Charles Osgood (CBS TV newsman/host/author), Shirley Bassey (singer), Cristy Lane (singer), William Henry Hartnell (actor, the first Doctor Who), Robby Krieger (musician), R. Kelly (singer), Mike Reno (singer), Paul Dresher (composer), Paul King (musician), Jeff Abercrombie (musician), Terry Sylvester (musician), Paul Hester (musician), Stephen Hawking (professor, astrophysicist, author), Amanda Burton (actress), Gil Grand (musician), Ami Dolenz (actress), Amber Benson (actress), Yvette Mimieux (actress), Thelma 'Butterfly' McQueen (actress), Simone De Beauvoir (writer), Evelyn Wood (reading teacher), Gypsy Rose Lee (burlesque entertainer), Bill Graham (concert promoter), Wilkie Collins (author), Frank Doubleday (publisher), Sir Frank Dyson (scientist), Lee Jackson (musician), Vladimir Feltsman (Russian pianist), Little Anthony aka Anthony Gourdine (singer), Ted McDougall (footballer), Michael Ridley (cricketer), Harriet Sansom Harris (actress), Sean Paul (musician), Karen Poole (musician), Jenny Lewis (actress), Richard Cromwell (actor), Jose Ferrer (actor/director), Sam Riley (actor), Ryan Frances (actor), Roy Kinnear (actor), John McTiernan (director), Scott Whyte (actor), Sander Vanocur (broadcaster), Joan Rivers (comedian), Maria Pitillo (actress), Sarah Polley (actress), Loretta Lee (actress), Gabby Hoffman (actress), Maria Pitillo (actress), Brad Snyder (shot putter), Kent Jones (golfer), Virgil Hill (boxer), Vyacheslav Dmitriyevich Zudov (USSR cosmonaut), Terry Brooks (author), Antai Ribari (composer), Serge Poliakoff (Russian/French painter/guitarist), Queen Marie of Yugoslavia, Bronislava Nijinska (ballet choreographer), Storm Jameson (novelist), Frank Nelson Doubleday (publisher), William Wallace Gilchrist (composer), Fannie M. Jackson (pioneer and educator), Lawrence Alma Tadema (Dutch/British painter), David Silva (footballer), Nicolas Coustou (French sculptor) and Henry V (Roman German king/emperor). Big shout out to... Anastasia Zamashchickova (Angarsk), Anastasia Smirnova (St. Petersburg), Daria Brehunets (Moscow), Daria Reznik (Saratov), Eugenia Shust (Rostov-na-Donu), Elizabeth Stoliarova (St. Petersburg), Igor Zakharov (Moscow), Sofia Tretiakova (Moscow), Viktor Glebov (Moscow), Anastasia Chestuhina (Moscow), Inna Pyankovskaya (Netishyn), Katerina Ikonnikova (Astrakchan), Katya Gulevskaya (St. Petersburg), Katya Nikitina (St. Petersburg), Laszlo (Moscow), Lidiya Mishchenko (Kyiv), Marina Mikchailina (Orenburg), Marina Saponova (Moscow), Mariya Matyash (Poltava), Mariya Satiyeva (Nikolino), Natalia Makeshina (Michurinsk), Olga Twighlight (St. Petersburg), Elmira Shaikchanova (Astrakchan), Yulia Kaimonova (Yakutsk), Yulia Kriger (Saratov), Ekaterina Stetciuk (St. Petersburg) and Wanda Bark (St. Petersburg). A record-setting 193,000 people visited the MCA museum in Chicago during the almost 4-month run of DAVID BOWIE Is exhibition. The exhibition closed yesterday, and figures show it was a huge success. The museum broke their attendance and sales records covering their forty-seven year history. Chicago Tribune: 'Bowie a pop hit for MCA, which ponders what's next?' - [Read here]. Chicago Mag: 'Here's Just How Successful the MCA's David Bowie Exhibit Was' - [Read here]. The international exhibition continues its world tour with the next venue at the Philharmonie de Paris (March - May 2015), followed by ACM Australian Centre for the Moving Image, Melbourne (July - November 2015), and finishes the year at the Groninger Museum in The Netherlands (December 2015 - March 2016). Update: More gigs added... TONY VISCONTI, WOODY WOODMANSEY's Holy Holy and GLENN GREGORY perform DAVID BOWIE's The Man Who Sold The World album, plus a new set of other classic Bowie songs from 1969-73, with very special guests. 12th - Isle of Wight Festival - [Tickets]. 13th - Oxford, Academy - [Tickets]. 14th - Bournemouth, Academy - [Tickets]. 15th - Bristol, Academy - [Tickets]. 17th - Norwich, Arts Centre - [Tickets]. 18th - Liverpool, Academy - [Tickets]. 21st - Leeds, Academy - [Tickets]. 22nd - Hull, The Welly - [Tickets]. 24th - Dublin, Olympia - [Tickets]. 25th - Glasgow, ABC - [Tickets]. 26th - Newcastle, Academy - [Tickets]. 28th - Colchester, Arts Centre - [Tickets]. 29th - Birmingham, Academy - [Tickets]. 30th - London, Shepherds Bush Empire - [Tickets]. Terry Edwards saxophones, 12-string guitar, percussion. Hannah Berridge Ronson keyboard, recorder, backing vocals. (Ed. TV has hinted that there maybe also an upcoming gig in Paris). First up on Saturday, 17th January at Warnors Center for the Performing Arts, Fresno, CA 93721 and Saturday, 24th January at Mozambique, Laguna Beach, CA. Check out davidbowietribute.com for full details and information. Check out the new TV spot for the CADILLAC 2015 Escalade entitled: 'Evolution of Indulgence', which features the song 'Fame' by David Bowie, John Lennon and Carlos Alomar. The commercial stars Jarrod Crawford (Escalade driver), Deepak Ramapriyan (Indian Prince on elephant) and Nikia Phoenix (Egyptian Queen). Update: Only TWO days remaining! WARNER MUSIC GERMANY are offering you the chance to win a DAVID BOWIE 2014 signed copy of his latest single 'Sue (Or In A Season Of Crime)'. All you have to do is simply answer ONE easy question. Enter the competition to win this ten inch vinyl release HERE. • Update: on UNCUT magazine... DAVID BOWIE - the inside story of Young Americans is told by its key players in the new Uncut. The full story of David Bowie's Young Americans is told in all-new interviews in the new issue of Uncut, dated February 2015 and out now. Musicians including Carlos Alomar, Andy Newmark, Earl Slick, Geoff MacCormack, Ava Cherry, David Sanborn and Mike Garson recall how Lulu, Luther Vandross and 10 days of "freaky soul" in Philadelphia helped Bowie lay the groundwork for a whole new direction. Released next month is the DAVID BOWIE Young Americans 40th Anniversary Picture Disc Single Limited Edition on 23rd February 2015 via Parlophone (cat. no. DBYA40A). YOUNG AMERICANS (2007 Tony Visconti mix single edit) (David Bowie). Produced and mixed by Tony Visconti. 2007 Mix by Tony Visconti. Mixed at Looking Glass Studio, Studio B. With thanks to Dave d'Arcy. IT'S GONNA BE ME (with strings) (David Bowie). Mixed at Looking Glass Studio, Studio B. String arrangements by Tony Visconti. Vocal arrangements by David Bowie and Luther Vandross. Recorded at Sigma Sound, Philadelphia, PA. 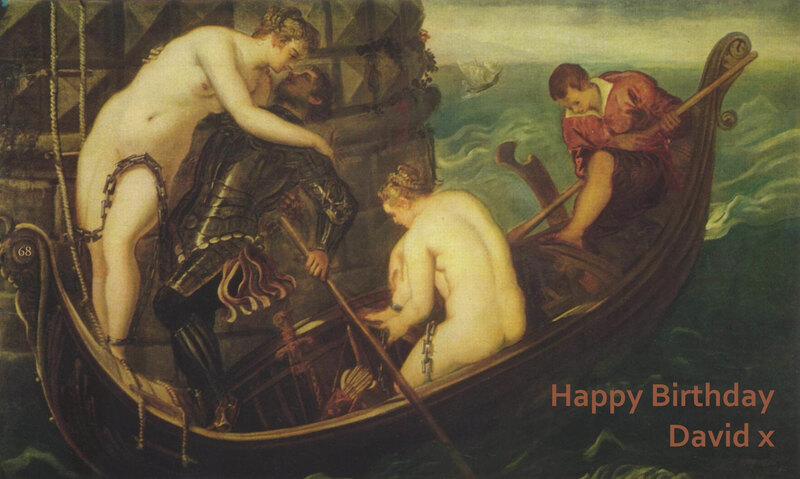 HAPPY NEW YEAR 2015 TO EVERYONE!